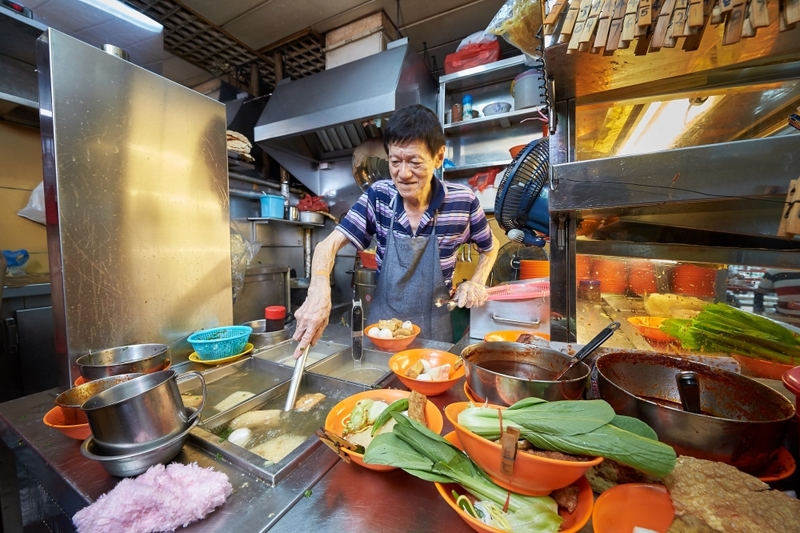 As Singapore prepares to nominate its hawker culture for inscription into Unesco's Representative List of the Intangible Cultural Heritage of Humanity, some young Singaporeans have stepped up to lend their support to the bid. One of them is Miss Poh Huan Rong, 19, a third-year business and social enterprise student from Ngee Ann Polytechnic. She was in Shanghai for six months on an internship last March and while there, found herself craving her favourite char kway teow. After three months, she finally found a restaurant serving the dish - but it was too salty and the noodles "didn't taste right". She said: "I even tried cooking it myself, but they don't sell the right kind of noodles or sauce there. "Only when I came back to Singapore could I have a proper plate of char kway teow." The restaurant environment was also a far cry from the casual familiarity of the Clementi hawker centre where she often had supper with friends after their co-curricular activities, she said. This experience made her realise the importance of not taking Singapore's hawker culture for granted. When she returned, she signed up as a volunteer for the Our SG Hawker Culture travelling exhibition to showcase hawker culture and encourage members of the public to pledge their support for the nomination. The exhibition features a miniature hawker centre diorama and colourful information boards. Since its launch in October last year, it has garnered more than 220,000 pledges online and at various venues around the island. Passers-by can hit a button at the exhibition to signal their support without penning a full pledge. Yesterday, Miss Poh was at Yuhua Village Market and Food Centre in Jurong East, where the exhibition ends today, with first-year culinary and catering management students Keisia Lim-Urquhart and Vivian Zhu from Temasek Polytechnic. They had breakfast and chatted with Culture, Community and Youth Minister Grace Fu, who was there to pen her own support. Ms Fu wrote that she supports the nomination because hawker culture "is an important part of our lives". The Our SG Hawker Culture exhibitions will continue to collect pledges from the public until March, when the nomination will be submitted to Unesco. Which Country is Most Trusted by Filipinos?